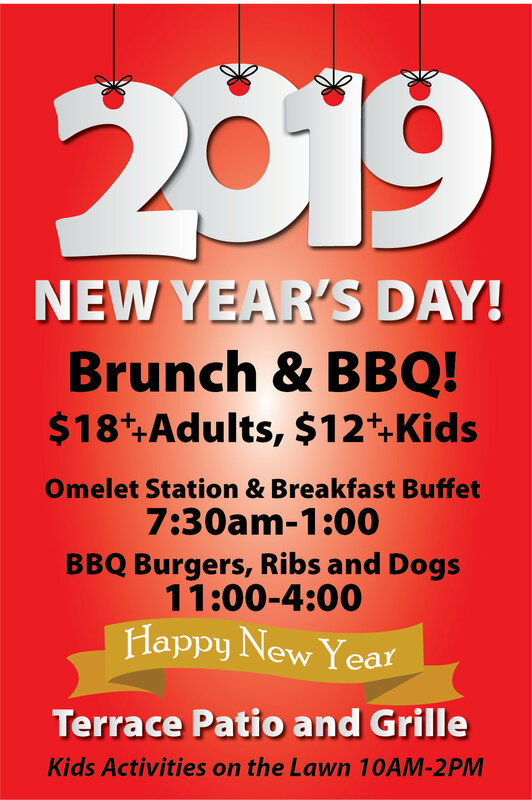 Join us for New Year’s Day Brunch & BBQ on the Terrace Patio & Grille. Enjoy our Omelet Station & Breakfast Buffet from 7:30am - 1:00pm. BBQ Burgers, Ribs and Dogs will be served 11:00am - 4:00pm. $18++ Adults, $12++ Kids. Kids activities will available on the lawn from 10:00am - 2:00pm.